Twenty on Queens (along with Sephora) was the first Multi-Unit Development to be certified under the EnviroDevelopment National Technical Standards Version 2. 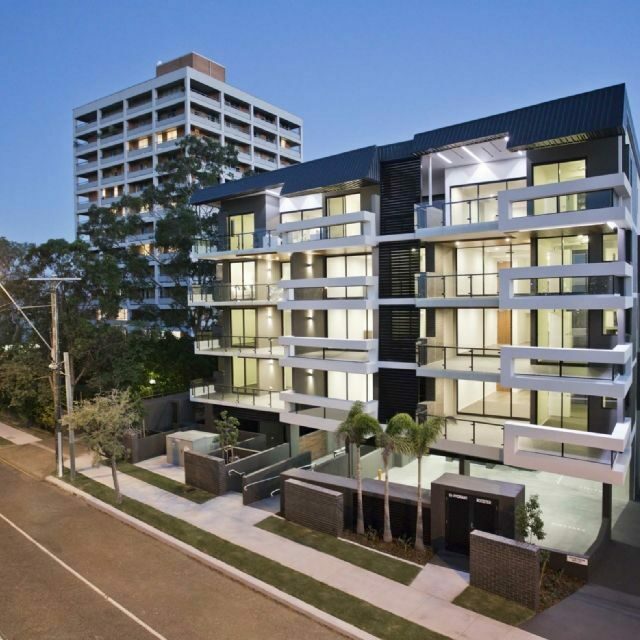 Located in the inner city suburb of Taringa, the project boasts convenience with close to public transport, highly reputable schools and access to local shops. Twenty on Queens has explored a variety of options to addressing their responsibility to protecting the natural environment and this becomes obvious through design. Being an empty lot originally, a conscious effort was made to minimise disturbance to the site’s original topography. The balcony access across units welcomes sunlight and natural ventilation, limiting the need for artificial manipulation. Sub-metering across all apartments allows the opportunity for analysis and monitoring, benefitting both complex owners and developers and the apartments are equipped with modern environmentally conscious technology and appliances, including the installation of the 5,000L rainwater tank.